When you rent or rent out a property, you will be in a binding agreement and if you don't look after the property to the standards then you may find yourself in a bad position at the end of the day. If you want to make sure that your property is in excellent condition for your next client then a professional clean is a must! If you had a messy client or a stubborn landlord we all know this makes life difficult, and that is why we are here to save you the stress of moving out as well as helping you to leave the property in great condition at the end of the day. 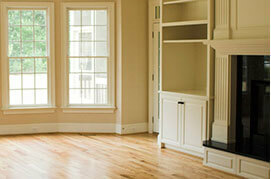 Look below to see what our end of lease cleaning Sydney service could do for you. 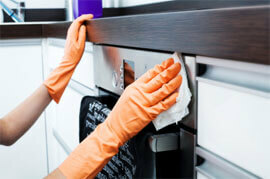 Clean kitchen appliances such as ovens, fridges and other related structures. Dust every surface, including basins, bench tops and more. Hygienically clean the bathrooms and other related wash areas. You may think that you can do all of this by yourself but it is important not to underestimate the amount of work that is required. You could lose well over a month's rent from being unoccupied if you don't get the job done properly and the cost for the clean won't come anywhere near this amount. We can save you time, effort and sleepless nights while also dealing with the clean before it becomes a real issue between you and your landlord or future client. We can also help to put your landlord and clients at ease as we are cleaning professionals, so you can spend more time planning your future and less time focusing on your past. Contact our end of lease cleaning Melbourne & end of lease cleaning Brisbane services today and we would be more than happy to help.